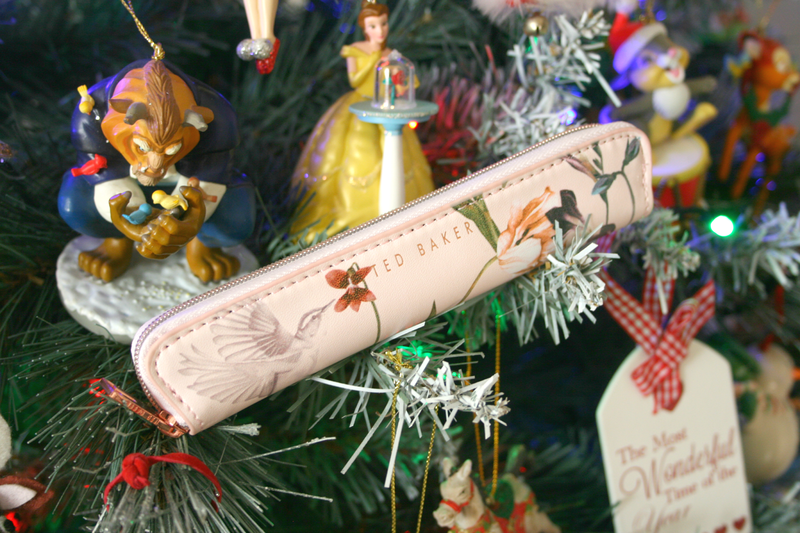 Ted Baker is a brand that has definitely stood out to me this festive season. With gorgeous tree trinkets and star gifts in Boots I've been stocking up on the body lotions and body mists lately. However I wanted to make a post especially for this beauty, I'm sure we can all admit we're addicted to stationary. 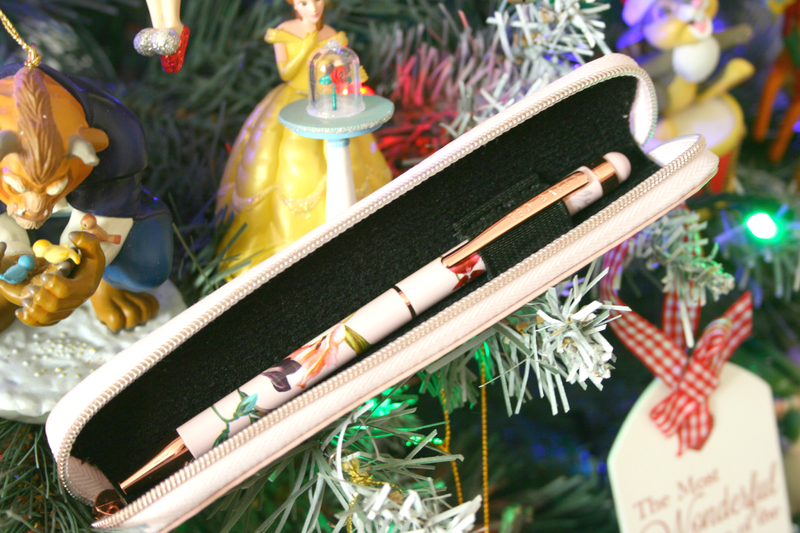 So how gorgeous is this pen (which is also a stylus) and pouch duo for a stocking filler. The gorgeous pastel pinks, purples and rose golden detailing is perfect for anyone who loves some pretty stationary in their collection. 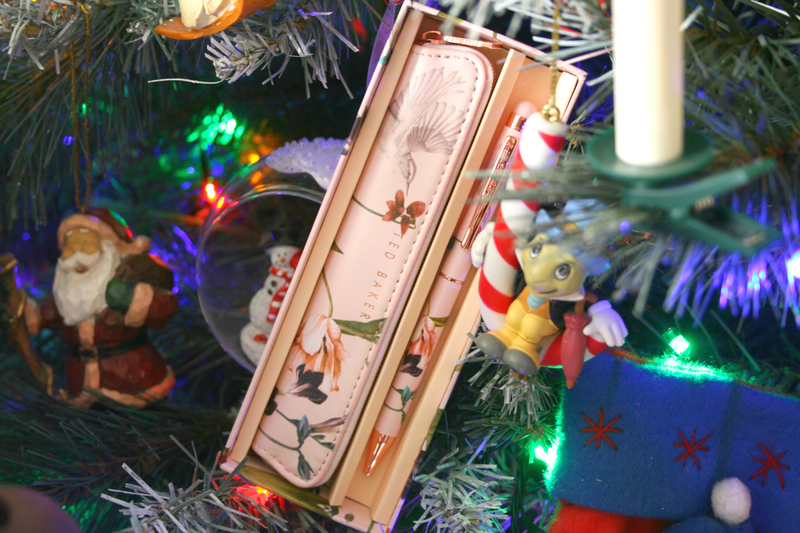 The design on both pen and pouch consists of hummingbirds and flowers, it's honestly one of the most gorgeous designs I've ever come across and let's not get started on the rose gold detailing because that's a win win all together. The pouch is faux leather perfect for putting in your handbag, knowing that the product inside won't get damaged especially if you're like me and basically carry your house around in your handbag is also great! Now when it comes to pens I will admit I'm very picky. They can't be too heavy or light and they have to be nice to write with. Is it just me who's like this or is it a legitimate thing because I'm slightly worried just typing this. However it's so lovely to write with and it even makes my handwriting look amazing even if I am just scribbling something down on a piece of paper. The Ted Baker Touchscreen Stylus and Pen* will only set your bank balance back £24.99 which for a name brand isn't quite bad at all and honestly I was expecting it to be a lot more expensive because, well just look at the masterpiece! It comes in two designs, 'Orchid' which is the one I have shown above or 'Peony' which consists more of dark purples and pinks. For more gift ideas or stocking fillers make sure you check out Qwerkity for lots more! What do you think of the pretty duo? *This post contains a PR sample, all opinions are 100% my own. I didn't know I needed this until I saw it, it's gorgeous! You must be well prepared to pay more because with greater picture quality will come more price tag. putlockerfreemovies.net has various tutorials related to putlockerfree movies.